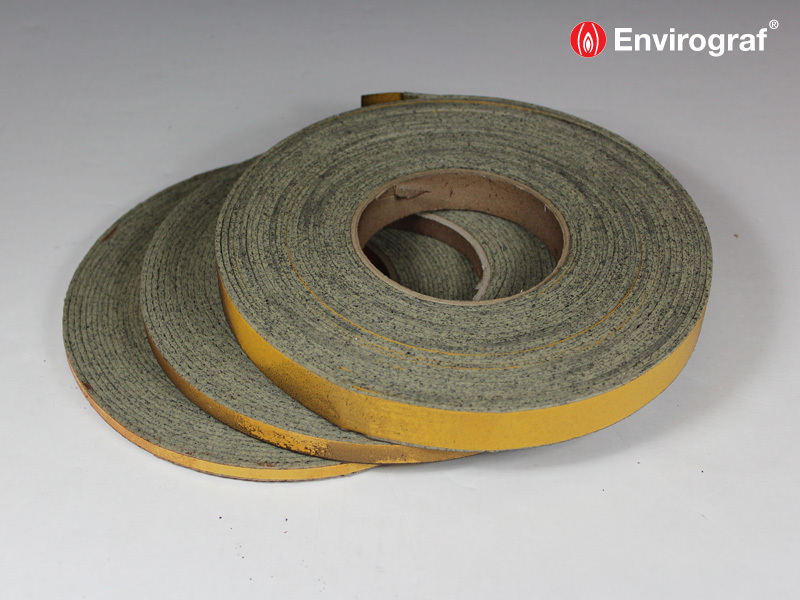 A 2mm-thick, compressible intumescent strip with self-adhesive tape backing, supplied in 10m long rolls. 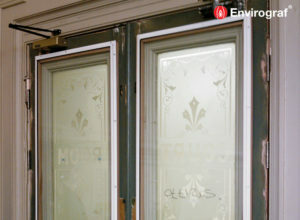 Designed for use in conjunction with fire-rated glazing and compatible with a wide variety of door and window types. Available in white, black, brown, red or grey. Supplied in 10m rolls. The strips are fitted to beads each side of the fire rated glazing. Although the seal is 2mm thick, it will compress to 0.5mm while not affecting its performance. 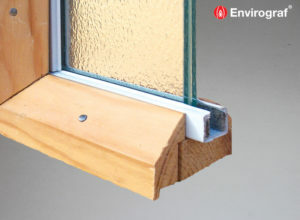 For 30 minutes glazing 10mm or 15mm beads must be fixed with 36mm panel pins at 200mm centres. For 60 minute glazing 20 – 25mm beads using 60mm No8 CS steel screws at 200mm centres to fix. Grip the self-adhesive backing strip and separate the protective paper from the adhesive. Pull along for a few centimetres to expose the adhesive surface ready for adhering onto the glazing beads. Attach the intumescent strip to the face of the bead, peeling away additional backing paper as necessary. Fix beads in place with the glazing strips towards the glass. 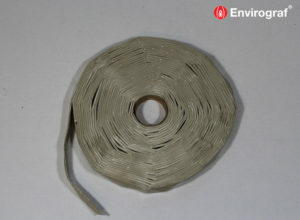 All of the above items are supplied in 2mm-thick, 10m rolls. 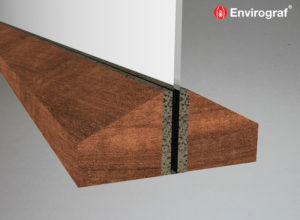 Tested to BS476 Part 22 (1987), achieving an integrity of 45 minutes in 10mm thick hardwood or 15mm thick softwood, 65 minutes in 20mm wide hardwood was achieved, and 49 minutes in aluminium window frames.